Rated 1 out of 5 by scamp69 from BAD is not a strong enough word. Don't waste your time! I was really hoping for a good SE. I cannot believe that there are no voices and we must read and read and read. I also cannot believe anyone (even penn) would give this a good review. Try it and then suggest developers make changes. Hopefully their next attempt will show improvements. Rated 1 out of 5 by Lescha from Language Guys! Learn English. Seriously. I gave up after like 1 minute into the game. Spelling mistakes, kindergarten level of language, chat-style abbreviations (u instead of you, from an English butler). Tutorial: horrible - just says 'click here' without explaining why or what it's supposed to do. Buying thing - just says 'click here' without showing where the money is or how much I'm spending. In short: don't. I would have given this game a negative if this were a thing. Rated 1 out of 5 by MtnGirl51 from Bad - REALLY Bad This was the most cumbersome game I have ever played from Big Fish. Characters talked to you in the game but there was no clear guidance on what you needed to do to progress. I played 10 minutes and then deleted the game. Rated 1 out of 5 by equicate from Horrible game! Not recommended at all. I deleted the free trial after 18 minutes because that was all I could take. I was hopeful for this one considering BF hasn't shown anything really decent since before Christmas, but this was a no go. Okay graphics, but storyline was very convoluted and tutorial incomprehensible...and I NEVER have to use a tutorial. Really, really bad, BF... did everyone there take a holiday break?! Rated 1 out of 5 by maxzer from Sorry no Thank You I don't know what this game is suppose to be a HOP or Time Management game but it just was so boring and confusing I gave up on it after 10 minutes. I really tried to like this game but I just could not. The graphics are OK. This is the only positive thing I can say about this game. The game does have a tutorial but after that there isn't any clear instructions. I don't know if there is a storyline either. It look like this game is in beta because it certainly need work to bring it up to standard. I normally love game here on Big Fish but this one I say "Sorry no thanks". 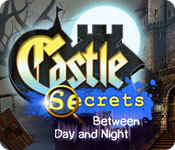 I will pass on Castle Secrets: Between Day and Night. Rated 1 out of 5 by MrsLoach44 from The Butler was the deal breaker A previous gamer's review referred to this game as "asinine". I couldn't believe that a game could be so bad as to warrant such a label. I had to download to find out for myself. Now, I wouldn't go so far as to call it asinine. However, I'd have to say it is not fun, not challenging, not grammatically correct, has typos, doesn't make a whole lot of sense, AND has no viable plot / story line. A lot can be overlooked for an outstanding story and decent graphics. This had neither. In fact, the interface was very "jumpy". In any case, this game did get a high review from another gamer. 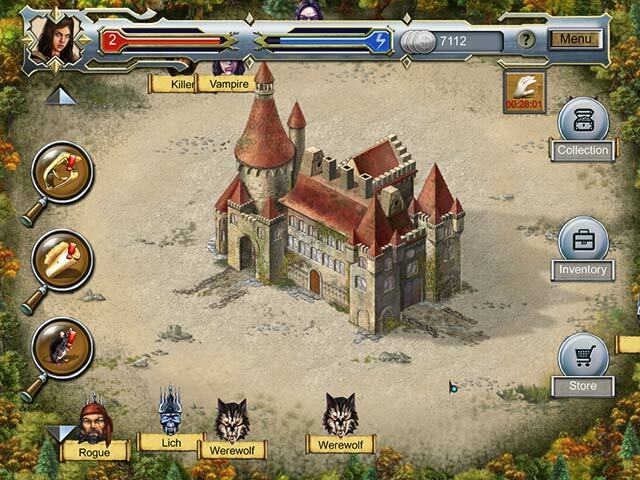 Since hope does spring eternal, download this game to see if you like it. I didn't and I don't recommend it. Rated 1 out of 5 by expelliarmus from *sigh* I really wanted to be able to say something good about this game after reading the other reviews, but I just can't. The instructions, such as they are, seem rather vague, and there's all these collection items that seem to matter very little. 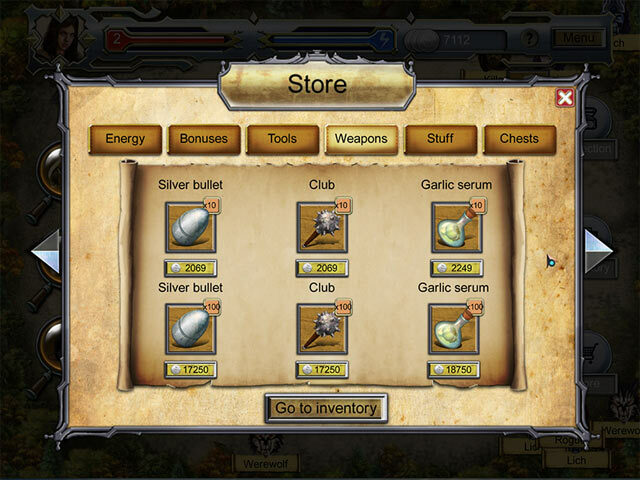 You have to "battle" bad guys, which amounts to clicking on them and either killing or buying a weapon and killing them. No real excitement there. The hidden objects aren't, so no real contest there either. If there is any challenge, it is in trying to figure out why you're playing the game at all. It's really rather pitiful. Rated 1 out of 5 by hibc60 from have to agree with the bad reviews just don't get this one. didn't know what I was doing or where to go. no hint button just don't get this one and cant' recommend it. Rated 1 out of 5 by meighannc from Confusing I did not play this game for very long based on the really poor instructions. I am not even truly sure what kind of game it is. 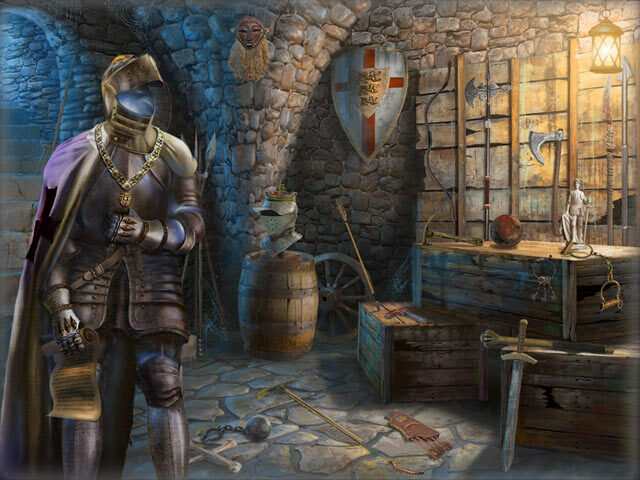 I know that it has some hidden object elements that did not seem to be too difficult, but the rest of it is lost on me. Rated 1 out of 5 by DiDi212 from What? Based on the tutorial of the demo I have no idea how to play this game. For a HOP it sure has a lot of "rules" which I just didn't understand even though my hand was held through out the tutorial. I tried to turn down the music but couldn't. It's either on or off so I opted for off. There are no game-play modes. There are no voice overs. Just a lot of reading. Perhaps I should have tried to play past the tutorial but the screen was filled with so many objects (not hidden objects) I didn't know which to click on so I opted for the menu button to exit. You should play the demo before purchasing this game. It looks like something from way back when. There are just too many "rules" for my taste. This is a no buy for me and I can't recommend it. Rated 1 out of 5 by LogieBaby from At year's end BFG saved the worst for last There have been some horrendous games this year. I realize that not all can be gems when there is a supposed " new game every day ". I can state with a fair degree of certainty that Castle Secrets is without a doubt the most asinine effort of 2014. This abyssmal effort cannot have been developed this year as it has old game written all over it. The Hildegard family has a castle that is overrun by all sorts of nasties which we as the player must remove. Our guide of sorts is the butler Richard. He is everywhere all of the time in the form of a never ending tutorial. No one needs to be told to find items in the kitchen or the library and other areas over and over and over again ad nauseum. Whenever the player is in a room to gather items, there are only 4 of them. What kind of hidden object segment is that? I guess the player gets to acquire items useful in vanquishing the baddies that occupy the castle. I never got that far. I generally give a demo 20-30 minutes, even in the lousy games, in the hope some improvement is in the offing. This game set a personal record of sorts for me in that I deleted this awful game after about 10 minutes. It took me that small amount of time to realize there is absolutely nothing redeeming about Castle Secrets. Avoid this mess at all costs.